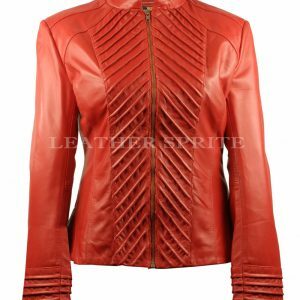 Specially designed this leather jacket is made from lamb leather and this leather jacket is paneled at sleeves and quilted with asymmetrical zipper front closure. 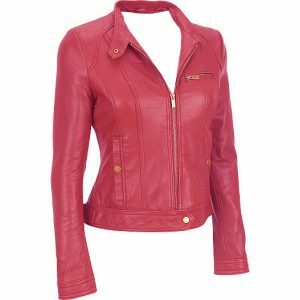 This leather jacket has two front zipper fastenings and two side zipper pockets at chest. 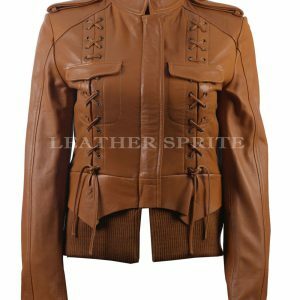 Also the unique hemline silhouette makes the leather jacket designer wear. 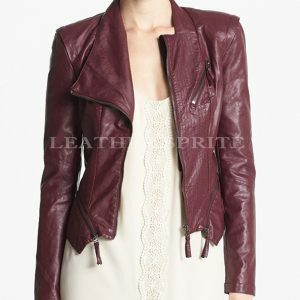 Available in all colors and size this leather jacket can be perfect outwear for you this season. Grab this trend today.